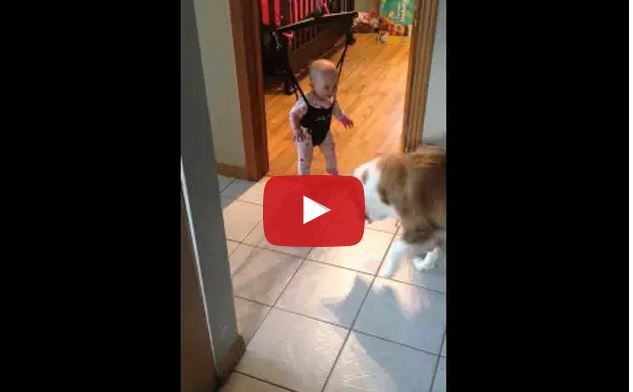 Watch This Dog Teach His Favorite Baby To Jump....Every Baby Needs A Dog! This 2 week old puppy is so content with his first bath that he’s falling asleep! I’m sure the warm water feels nice. Especially after all he’s been through. This puppy and 2 of his litter mates were abandoned and found inside a bag in a dumpster. Fortunately, these great people rescued the puppies and are bottle feeding them and giving them the best care possible. Share this on Facebook if you think every dog deserves a loving home! 4 Reasons Women Should NEVER Breastfeed In Public – Best Public Service Announcement EVER!